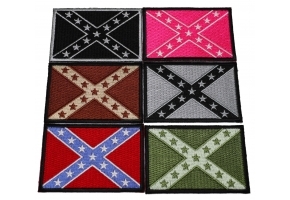 Show your Southern Heritage with a Rebel Flag patch. This Rebel Flag patch is embroidered and measures 3x2 inches. It features yellow borders that is actually embroidered thread. Laser cut all around for a very clean finish. The cross is blue with white outlines and stars, the background is red twill. The back of the patch features plastic iron on backing so it can easily be heat pressed on to denim shirts. You can easily sew the patch on to leather jackets as well. The Confederate flag comes in many different color combinations, including a pink, brown and od green versions. It's part of American history. People get mad at us for selling it, and people get mad at us for not selling it. We've been selling it before it became such a big deal. To be honest we sell more of this Southern flag in Northern states than in southern states during motorcycle rallies. It's not something people see often up north but apparently they do want it, because the sales don't lie. If you are looking for hook backing we do sell peel and stick hook backing at our site too. 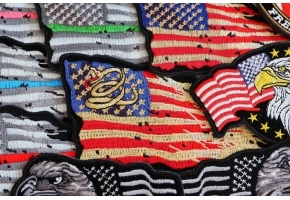 You can easily turn any of our iron on patches to a hook backing patch for your tactical gear that features loop fabric. 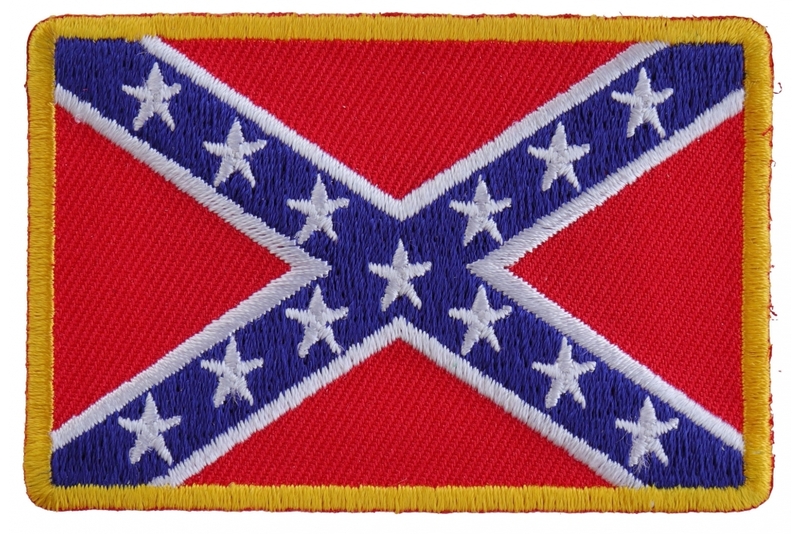 The striking colours on this Rebel Confederate Southern Flag Patch would leave anybody amazed. 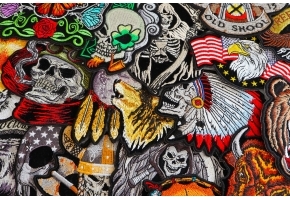 Going out on a long ride wearing this patch stitched on your denim jacket or vest can be quite an experience because not everyone can carry this look on them. This is one of the most best-selling products and also it has made a lot of noise in the market because of the lovely patches of colours. This is yet another product which is made exclusively for the rider community. Well, you would feel the pleasure of this patch only when it is stitched or iron-pressed on your jackets.